Situated in the beautiful region of Alsace, Strasbourg lies on the French-German border: for this reason, it offers visitors a unique mix of French and German culture, with typical medieval houses and sights. 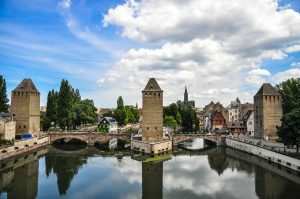 Bordering the West bank of the Rhine river, Strasbourg provides Franco-German culture, ambience and sights: for instance, the beautiful Gothic Notre-Dame Cathedral, with its astronomical clock and its towers, offers a unique medieval atmosphere, while the famous historic quarter called Petite France offer a great number of channels and medieval houses. 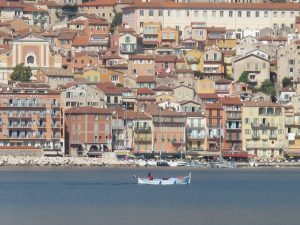 There, you can follow the Barrage Vauban – a defensive structure built on the river – and enjoy all the typical houses which are now part of the UNESCO World Heritage. The town houses several European institutions, such as the Council of Europe and the European Parliament. The centre of the city, called Grand Île, is a UNESCO World Heritage Site: although always disputed throughout centuries, Strasbourg has been a crucial cultural, historical and social bridge between Germany and France. The city absorbed the Germany influence in its stunning architecture and, as you walk into the town, you will feel as if you are entering a childhood fairytale village. It is simply picturesque. 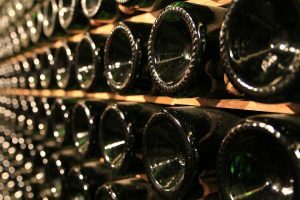 Enjoy a glass of wine from one of the famous Strasbourg caves or a cold mug of beer from one of its equally spectacular breweries. 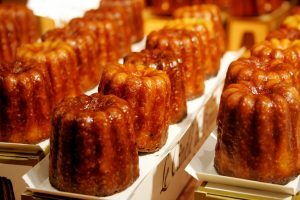 If visiting in the winter, you can also go to the Christmas fair, a real treat during the holiday season. 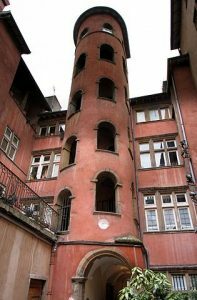 Although many castles and churches have been destroyed in 1944 during the Allied bombing raids, the main ones are still intact or have been renovated: thus, Strasbourg can still offer, especially these days, a unique and amazing insight into the Franco-German culture and into the Gothic and Romanesque atmosphere of the Middle-Ages. Annecy, also called the “pearl of French Alps”, is a small town between lake and mountains in the South of France. It lies on the Northern side of Lake Annecy. 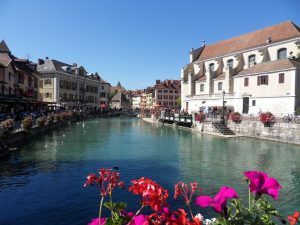 In Annecy, you can find stunning mountains views, you can visit chateaux and, above all, you will have the chance to boat on of the clearest and cleanest lakes in Europe! 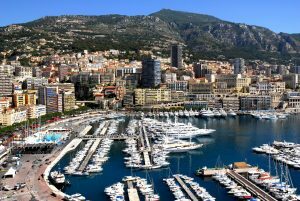 You can have fun enjoying the beautiful landscapes and experiencing all the outdoor activities that the city provides. 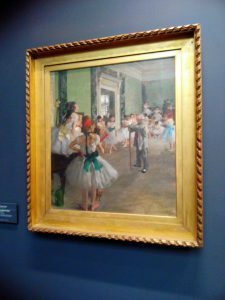 Within the city, there are several art museums and renovated castles – such as the Palais de l’Ile and the Château d’Annecy – as well as green spaces and a renowned flower market. 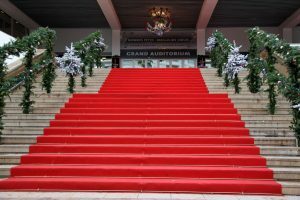 Last but not least, Annecy houses one of the most important film festivals in France, the International Animated Film Festival. 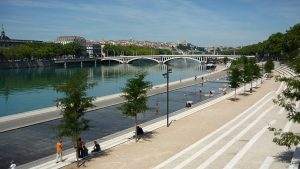 Toulouse is one of the biggest cities in France: it lies on the Garonne river and it is considered to be the capital of the cultural region of Occitania. 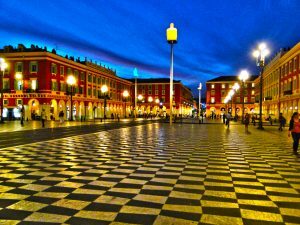 The town is famous for its particular architecture made of pink terracotta bricks and, for this reason, Toulouse is also known as the “Pink City”. 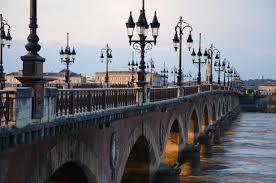 In the very centre of Toulouse, within the area called Place de Capitole, you can find the Hôtel de Ville, the Opera House and the Donjon du Capitole. In that area, you can also find the Cathedral, a Roman building listed as national monument whose main features are the two incomplete churches, the rose windows, a triforium, the West portal and a Gothic-Romanesque tower. However, the most important religious building in town is without a doubt the Basilica of St. Sernin, the largest Romanesque remaining in Europe: the abbey is a perfect illustration of high-quality Romanesque sculpture, with vaulted ceilings, beautiful chapels and an impressive bell tower. Also it contains a magnificent pipe organ. 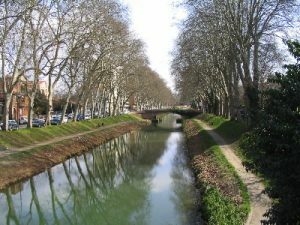 The Canal du Midi is another very important sight: a 241km-long canal which connects the Garonne river to the Etang de Thau (a lagoon on the Mediterranenan). 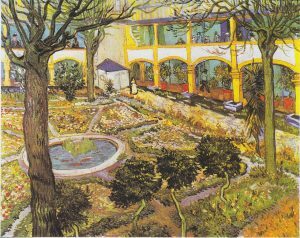 Near to the Canal du Midi, you can take a break in the botanical garden ‘Jardin des plantes’, a public park bordered by schools and museums, which contains several old vestiges. 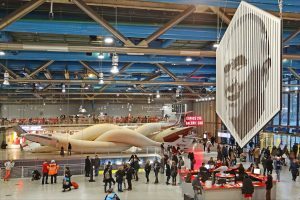 In the Eastern suburbs of Toulouse, you can experience the City of Space, a theme park focused on space with rockets, space stations and planetariums, which shows why Toulouse is considered to be the centre of the European aerospace industry: believe it or not, you will have the possibility to visit a control room and prepare the launching of a rocket! 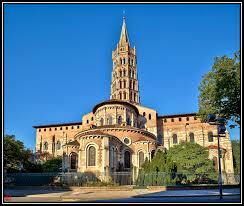 In Toulouse you can also visit two other important sights, such as the Daurade Basilica and the church of the Jacobins. 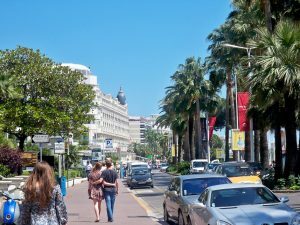 Besides, you can experience the ‘University atmosphere’ in every part of the town, thanks to one of the oldest universities of Europe and thanks to all the students who live in the city. 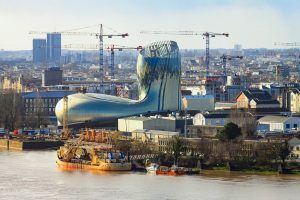 In the Bordeaux Old Town district – called Saint Pierre – you will find a unique atmosphere: it is the place where the inhabitants used to gather and where all the ships used to arrive, together with their merchandise. 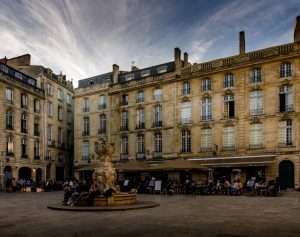 Facing the Garonne river and the port, the Bordeaux Old Town is full of important historic buildings, along with museums and beautiful sights. 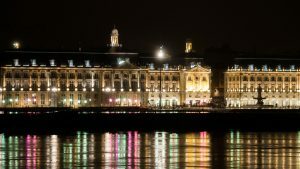 First of all, there, you can find the iconic Place de la Bourse, with the most famous sight of Bordeaux, the Water Mirror. This 3,450-square metre reflecting pool was built in 2006: it is made of granite and it is covered by 2 cm of water. 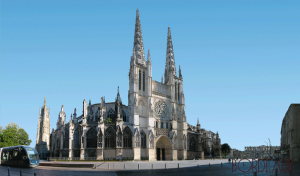 In the Bordeaux Old Town, you can visit the magnificent Cathedral: it is a Roman Catholic church dedicated to Saint Andrew, where you can still see an old Roman wall in the nave, along with the beautiful Marcadé Collection, a series of paintings, sculptures, objects and liturgical vestments. 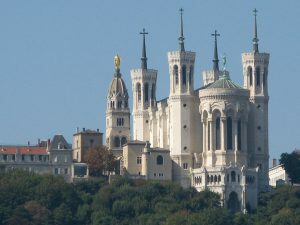 It was consecrated by Pope urban II and today it is the seat of the archbishop. 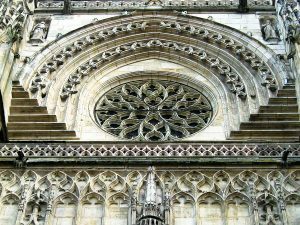 Some architectural elements are worth a visit: the Door of Arrows, the Gargoyles, the North Rose Window and the Choir. 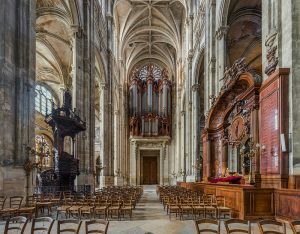 Outside the impressive church, you will also find the gothic Tower Pey-Berland, a quadrangular building which used to protect the cathedral from the vibration of the bells. 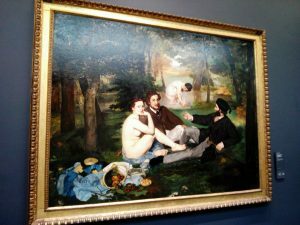 In the Bordeaux Old Town, you cannot miss the Museum of Fine Arts, one of the largest art galleries outside Paris. 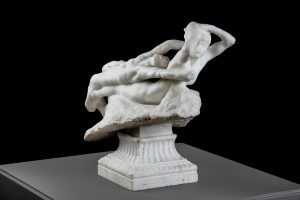 The collections focus on French and Dutch painters and consist of paintings, sculptures and drawings. 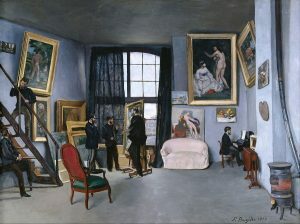 There, you can enjoy some of the best pieces of art by Tiziano, Delacroix, Seurat, Rubens, Matisse and Picasso. However, do not forget to have a break and relax! 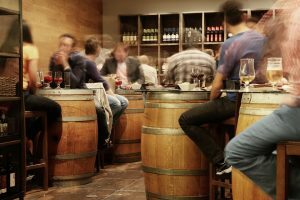 In Saint Pierre, you can eat in one of the small bars, restaurants and bistros spread around the district and, above all, you can enjoy the cosy and warm atmosphere of the ‘real’ Bordeaux! The Dune of Pilat is the tallest sand dune in Europe: it is situated in the Arcanchon Bay, 60 kilometres from Bordeaux. The Dune of Pilat is approximately 110 metres above the Ocean level and has more than 1 million visitors every year! 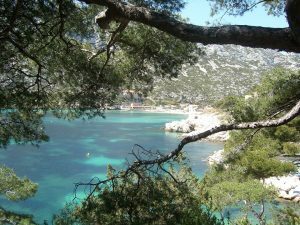 It runs along the shoreline and it is surrounded by forests. The Dune offers a unique and breathtaking view over the sea and, according to scientists, it is still moving, from 1 to 5 metres inland every year! 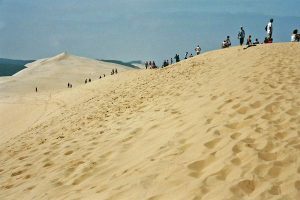 You can climb the dune of ‘Pilat’ – word which stands for ‘heap’, ‘mound’- and descend through the stairway, rolling or slowly walking down the hill, it’s up to you! The Dune will bring you back to your childhood, when you could recklessly run along the beach or down the hill, and the desert-like exotic setting will astonish you. 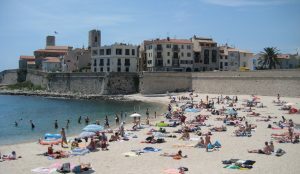 You can easily reach the Dune by train, from Bordeaux to Arcanchon, and from Arcanchon you can take a bus. The entrance is free and there are several campsites and restaurants around the area, if you want to spend more time there! So, what are you waiting for? 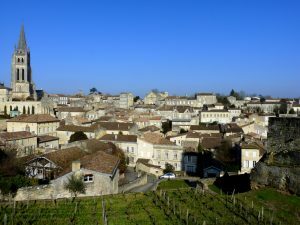 The Saint Emilion wine route is one of most renowned routes of the area, both for the wines you can find along the way and for the amazing medieval village of Saint Emilion (only 35 minutes from Bordeaux). 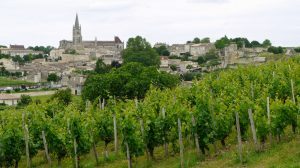 Situated in a hilltop position, Saint-Emilion dominates the Dordogne Valley: its landscape, which consists of the village and the vineyards, has been awarded the title ‘Cultural Landscape’ by UNESCO – first vineyard in the world! 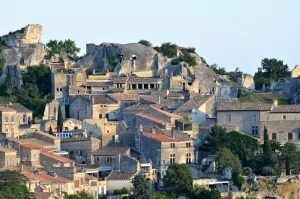 The whole area seems to be intact, as it was centuries ago, for this reason, it is a perfect starting point for a wine tour. There, you can have a tour around the village, in cellars and through vineyards; you can taste different wines in different places and enjoy the views. In the small village, you can find the largest monolithic church in Europe, ancient buildings, caves and a great number of historic monuments which represent the heritage of the heart of the wine growing region. 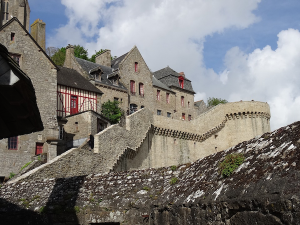 The legend says that the village was founded by a monk from Brittany who sought refuge in a cave and made several miracles. 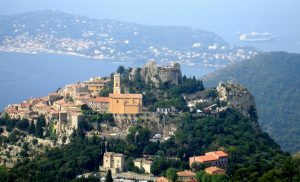 In the small village, you can take a look at the Trinity Chapel, the Monastery (near to the cave where the monk was buried) and the Grande Muraille. The vineyards date back to Roman age and the region is one of the principal red wine areas of Bordeaux with Médoc, Graves and Pomerol. 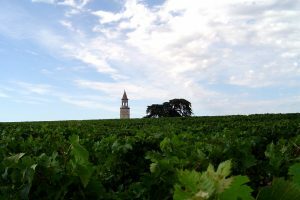 Pomerol is a smaller area but has the same Roman history and roots. There, the main variety of grape is Merlot. 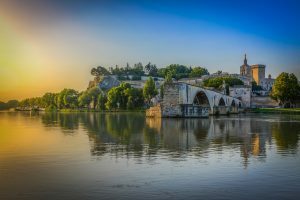 In these two areas, you can taste different varieties of wine, you can visit renowned chateaux, estates and enjoy beautiful views and breathtaking landscapes. Last but not least, in order to experience the whole area, you can visit the vineyards by bike, around a 10-km vineyard loop that you will never forget! 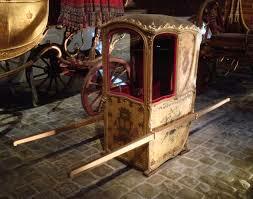 In the Northern part of the Bordeaux area, you can enjoy the Castle Route, from Bordeaux up and along the Médoc region. There, you can find 8 of the most important appellations, along with vast manmade forests (built to protect the vines) and magnificent chateaux. 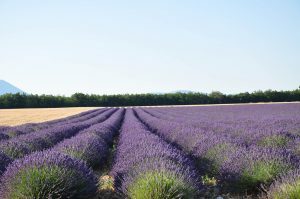 The Médoc countryside offers beautiful landscapes, valleys and wetlands, along with sandy beaches which run along the Atlantic coast. 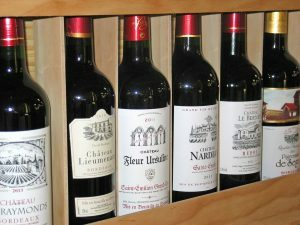 In the Médoc area you can find 8 AOC wines (controlled designation of origin) and the best chateaux of the Bordeaux region. The main grape varieties are Merlot and Cabernet Sauvignon (along with Malbec and Petit Verdot) and you can find both independent wineries and winemaking cooperatives. Due to the proximity of the Atlantic ocean, the area might be unsuitable of wine making; however, the variation and the particular soil better suit for varieties such as Merlot and Cabernet Sauvignon. 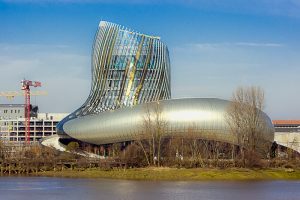 In the heart of the region you can find the famous 86-km long D2 wine route (also called ‘the Castle Route’), which passes by all the main chateaux and wine names, such as Margaux, Pauillac, Saint-Estèphe, Saint-Juline and Moulis. Most of the chateaux welcome visitors, but it is always better to book in advance! 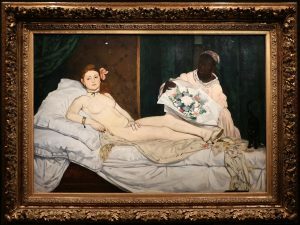 You can also visit some artistic exhibitions, like the one in the Chateau Mouton-Rothschild in Pauillac (the famous chateau with the world’s most expensive wine), with medieval tapestries and porcelain from China and Japan, or the modern art collection in Chateau Chasse-Spleen. Thanks to the Great Growth Classification (Classement des Grands Crus Classés) made by Napoleon in 1855 the most prestigious wines are classified by 5 categories (from 1st to 5th Growths). Five Médoc Appelations are considered as Premier Grand Cru in the classification. The Médoc is home to 8 AOC: Médoc, Haut-Médoc, Moulis-en-Médoc, Listrac-Médoc, Sainte-Estèphe, Pauillac, Saint-Julien and Margaux. 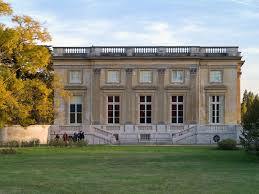 The latter, a wine growing commune centred on the village of Margaux, houses an impressive and magnificent chateau. 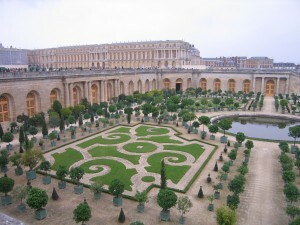 Besides, you can visit 21 other important chateaux in the area. Graves and Sauternes wine region is larger than Médoc but it produces half of the amount of wine. The soil is perfect for grape growing and the trades of wine with England dates back since the XII century. 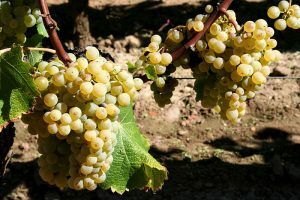 While the Médoc was the source of all red wines, the Sauternes is the one of white wines: the most famous among the varieties is, without a doubt, the sweet wine from Chateau Yquem. 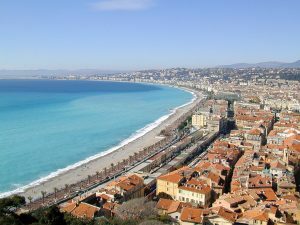 In this region you can find any different kind of wine: red wines (made with Merlot, Cabernet, Malbec) or dry white wines (Sauternes, Sauvignon, Muscatelle). 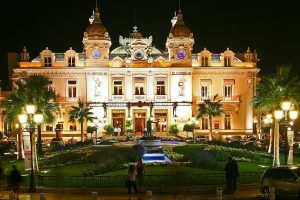 thin the area, you cannot miss neither the five-star palace Les Sources de Caudalie, with its spa, its luxury restaurant and several wine bars, nor the Cathedral of St. Jean Baptiste. 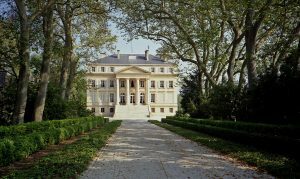 In order to have the best wine experience, you can visit the famous Chateau Haut-Bailly, renowned for its fine wines and the seasonal cuisine, along with the Chateau Filhot, famous for the AOC Sauternes wines. 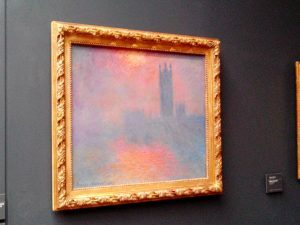 Tired of ordinary museums and traditional works by the same old painters? 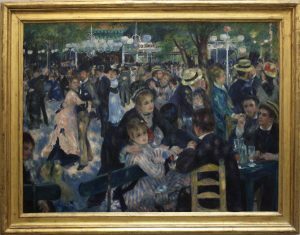 The Centre Pompidou will offer you the largest variety of contemporary and modern pieces of art, right in the heart of Paris! The Centre Pompidou is a complex building situated in the Beaubourg area (4th arrondissement) which houses the National Museum of Modern Art, the Public Information Library and the IRCAM, a centre for music research. 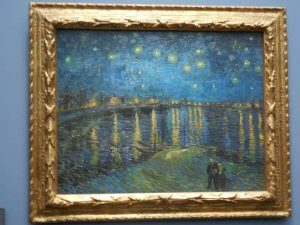 It contains Europe’s leading collection of modern and contemporary art, with over 100.000 works of 20th and 21st centuries. 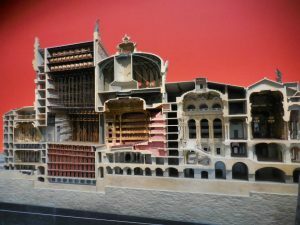 It opened in 1977 in a revolutionary six-floor building designed by Renzo Piano and Richard Rogers and, at the core of its mission, it has always tried to include contemporary artists and to open to any kind of art from all over the world. 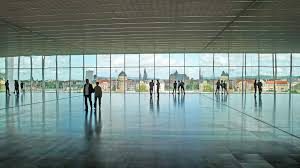 You will find temporary exhibitions, which focus on new technologies, installations and contemporary art, along with permanent exhibitions. 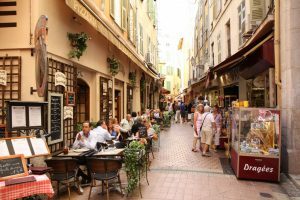 Around the building, you can also enjoy the atmosphere of the area called Beaubourg, within the Marais, full of cafés, small shops and people from all over the world. 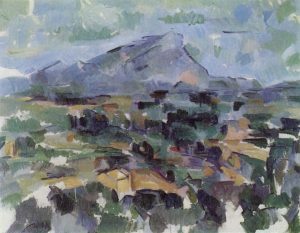 It contains major works by leading figures such as Matisse, Picasso and Braque, starting with the Fauve Revolution and joining the Surrealism, with the reconstruction of André Breton’s studio and some works by Duchamp. 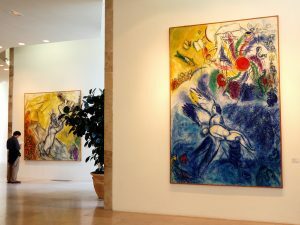 Here you can also find some pieces of Informal Art by Dubuffet and some major works by Kandinsky. 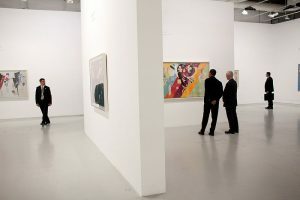 It contains paintings, photographs and sculptures by artists such as Bacon, Rothko, Klein, Johns and Beuys. You can also find some works of the most representative Pop Artist Andy Warhol. 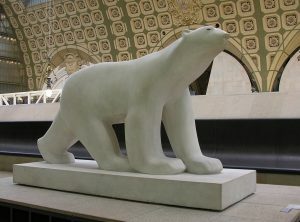 It consists of paintings, sculptures and installations by artists born after 1960. Most of the works are multidisciplinary and you can enjoy masterpieces by Orozco, Bartana, Koo Jeong A and Parreno. 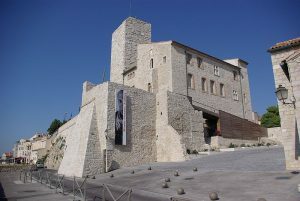 The museum also houses Europe’s largest Collection of Photographs, with works by Man Ray, Brancusi and Surrealist artists, and the Design Collection, with a great variety of prototypes and unique pieces. You can also visit the Cinema and New Media Collection, with experimental movies and creations from Méliès to Donnelly, as well as several installations by iconic artists such as Dan Graham. 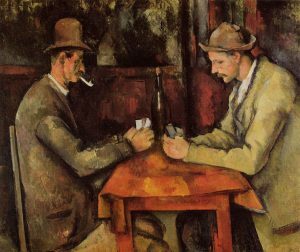 Finally, you can also enjoy the Graphic Art Collection, where the major collections of works on paper by Artaud, Chagall, Delaunay, Matisse or Kandinsky are exposed. Within the Centre Pompidou, you may take a look at the Kandinsky Library, specialised in the arts, where books, reviews, archives and audiovisual documents are presented. 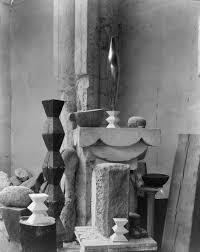 Later, you can visit the Atelier Brancusi, where the artist used to create his sculptures: you will have the opportunity to see how sculptures were created and disposed by Brancusi in order to establish a close relationship with space. Let your kids enjoy the museum thanks to special activities in the “Kids Gallery” and in the “Kids Studio”: an interactive and funny way to explore the world of the artists through observation and experimentation. There is also a space for teenagers called Studio 13/16, where they can enjoy free programmes, as well as interact with the creators. You can easily get to the Centre by Metro (Rambuteau, line 11; Hôtel de Ville, lines 1 and 11; Châtelet, lines 1, 4, 7, 11 and 14). 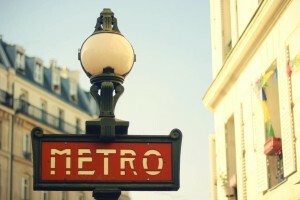 Otherwise, you can take the RER (Châtelet-les Halles, lines A, B and D), or the Bus (29, 38, 47, 75). There are also several Velib stations (no. 4020, 3014 and 3010). 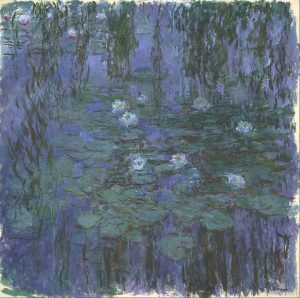 On the first Sunday of every month, the access to the museum is free for everyone! Then, what are you waiting for? 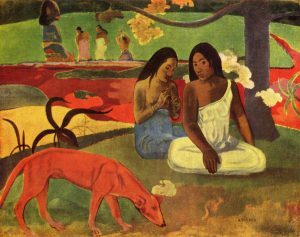 Discover contemporary and modern art at the Centre Pompidou and enjoy all the amazing collections! 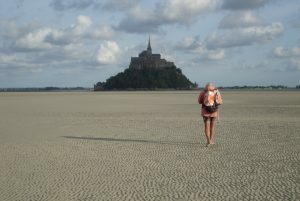 Experience the magical and unique atmosphere of the Mont Saint Michel Abbey, the only place where you can find the beauties of history and architecture along with a breathtaking landscape! The Mont Saint-Michel Abbey is located within the small island of Mont-Saint-Michel, in lower Normandy: it is at the top of the structural composition of the small feudal village which was built in the island. 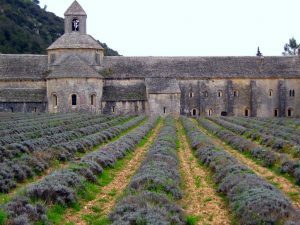 It is part of the UNESCO world heritage site and, throughout the centuries, it has been a church, a Benedictine abbey, a prison and an historical monument. The structure recalls both the Gothic and the Roman styles and can be divided in several parts: the underground church-abbey (“Our Mother Underground”), the Abbey-church (created to welcome the increasing number of pilgrims). Later, a new part was built: the monk living area called “Merveille”, which contains a cloister and a chaplaincy. 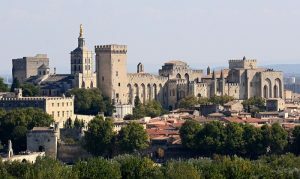 Nowadays, the abbey hosts some monks of the Monastic Fraternity of Jerusalem from St-Gervais-et-St-Protais and, recently, it has been the main inspiration for the design of Minas Tirith in the movie The Lord of The Rings: The Return of the King. 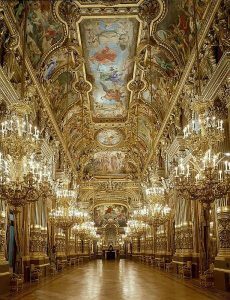 Do you want to have fun with your family once you are in Paris? 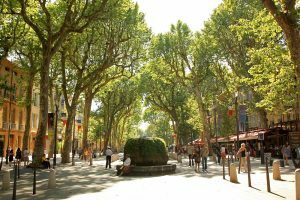 Here you can find the best amusement parks in Paris and some others around the town: theme parks, seasonal parks and educational parks that will provide a unique experience for you and your kids. 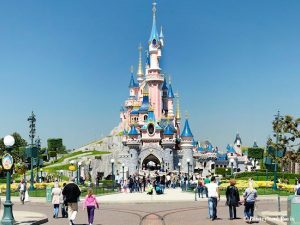 Disneyland Paris is probably the most famous among the amusement parks in Paris: a theme park which brings the magical atmosphere of Disney’s creations a few steps outside the city centre. 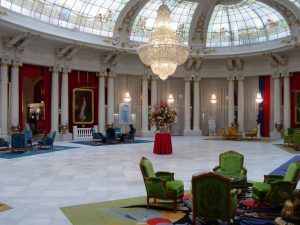 The park includes entertainment, shopping and dining districts, as well as hotels and a golf course. You can easily go there using the RER (Line A) towards Marne la Vallée and you will get there in 40 minutes. Let your kids experience Buzz Lightyear’s Astro Blasters or the Big Thunder Mountain Railroard, they will never forget it! For more information about the Studios and the Adventure Park click here and here. 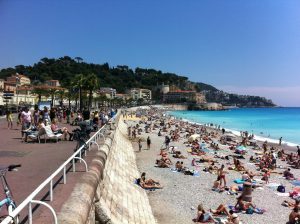 Tickets with access for both parks for 1 day and round trip transportation from Paris are available here. 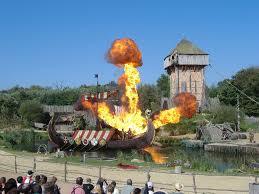 The Parc Astérix is situated in the north of Paris and it is based on the stories of the most popular among the Gauls. 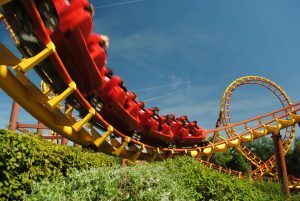 Although it may take some time to reach the park, the breath-taking roller coasters and the unique atmosphere will give you an experience you will never forget, bringing you back to the Roman Empire, to Ancient Greece and Egypt: there is no better way to enjoy history! 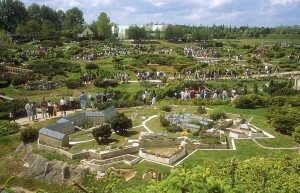 France miniature is a miniature park in Élancourt (30 km from Paris) with scale models of the most famous French monuments and landmarks, such as the Eiffel Tower or the Louvre. The Cité des Sciences et de l’Industrie is the biggest science museum in Europe and it is located in the centre of Paris (Parc de la Villette): thanks to the Planetarium, the Submarine and an IMAX Theatre, you and your kids will have the opportunity to improve your scientific knowledge while having fun! 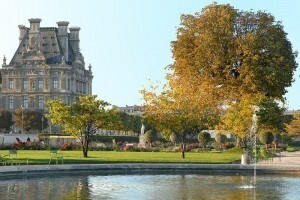 The Jardin des Tuileries is a public garden, situated in the 1st arrondissement, close to the Louvre Museum, that in summertime becomes the perfect place for your kids: with the return of the funfair, you can find attractions of any kind, such as bumper cars, trampolines and wooden carrousel horses. Especially designed for kids, the Jardin d’Acclimatation is an amusement park, situated in the Bois de Boulogne, that includes attractions such as miniature golf courses, pony ride, puppet theatres and museums. The park also includes the Exploradôme, an interactive science museum. 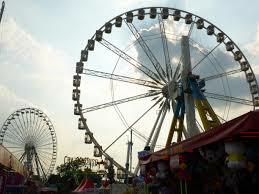 From the end of March to the end of May, you can experience the Foire du trône, the oldest funfair in France. 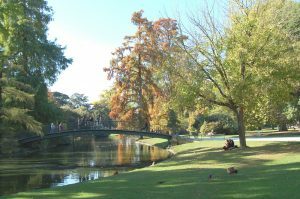 It is located in the 12th arrondissement (Bois de Vincennes) and mixes the atmosphere of springtime with attractions for kids and families. Do not forget to eat the typical street food on the Pelouse de Reilly! 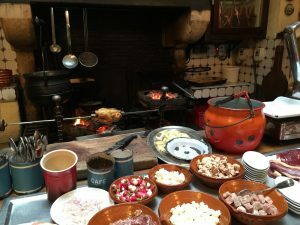 The Fête des Loges, one of the oldest fairs in Paris, is held in the forest of Saint-Germain-En-Laye (Yvelines): it is a traditional fair with a strong focus on typical and regional gastronomy. 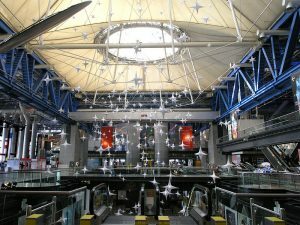 The Aquaboulevard is a complex in the 15the arrondissement which consists of a huge waterpark, a sauna and a hammam, several cinemas, tennis courts and many other fitness and sport facilities. 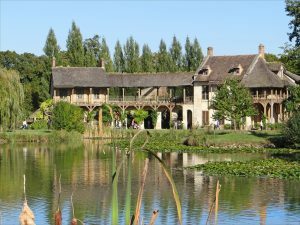 This historical theme park, situated in Les Epesses (Vendée Department) includes 26 shows, such as the Secret of the Lance, the Phantom Birds Dance and the Richelieue Muskeeter. 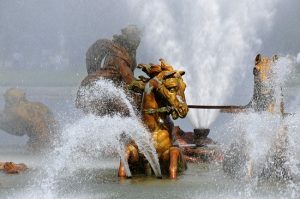 The Puy du Fou park will let you experience the thrill of past centuries, from the gladiatorial combats to the Vikings, from the Gauls to King Arthur. Vulcania is the “European Park of Vulcanism”, both an educational and an amusement park. 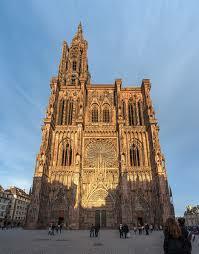 It is situated in Ours-Les-Roches, in Auvergne. 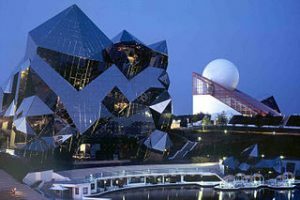 The Futuroscope is an amusement park which focuses on multimedia. 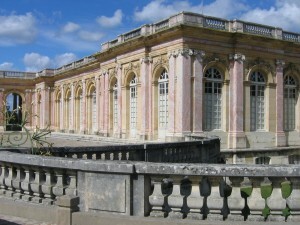 It has several 3D and 4D cinemas and it is located in the north of Poitiers (Chasseneuil-du-Poitou and Jaunay-Clan). So, what are you waiting for? 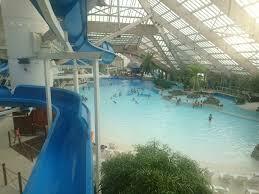 Have fun with with your kids in one of these amusement parks in Paris!